Larry Cohen (NSAC cofounder and director of NSAC DC) explains how to use and combine these two very different strategies to overcome our anxiety-inducing hot thoughts. Learning to identify your hot thoughts (upsetting ideas, self-talk and mental images) that contribute to your social anxiety; learning to test these thoughts against real-life evidence; and learning to come up with a constructive attitude about the situation and yourself that is more realistic, helpful and compassionate. Cognitive Restructuring alone is not always enough to overcome our distressing hot thoughts. Often, cognitive restructuring is a first step in preparing for experiments (see below), where we have the opportunity to test out our hot thoughts v. our constructive attitude about a situation and ourselves. Sometimes we do cognitive restructuring during or after an upsetting situation so we can overcome our distress and learn from the experience. Learning to acknowledge and set aside your distracting and disturbing thoughts and feelings, and refocus your attention on the conversation and activity in the moment; learning to “get our of your head and into the moment” so that you can interact with others more comfortably and naturally. Developing a series of learning experiences to help you work on your therapy goals and overcome your social anxiety in small, manageable steps. You choose your own experiments based on your fear and avoidance hierarchy, starting with situations that are only a little uncomfortable, and gradually working on harder things as you build self-confidence one small step at a time. Generally you will do cognitive restructuring before the experiments, and practice mindfulness during the experiments (see above). You will also identify safety behaviors (psychological crutches) that you want to limit using during your experiments so that you learn more and build more self-confidence. Some of these experiments take place during therapy sessions: doing various moderately challenging role plays and other activities with the therapist, as well as going out in public with your therapist to do experiments with strangers. If you are in a social anxiety therapy group, you will do many of these in-session experiments together with other member of your group, and occasionally with former members of past groups. If you wish, you will have the option of making private video recordings of some of your in-session experiments so you can test out your hot thoughts about how you come across v. how you actually do appear. You will also do many other experiments as self-chosen homework between sessions, either on your own, with therapy group co-members, or with personal friends. Most importantly, you will also learn how to benefit from both your in-session and homework experiments, no matter how they turn out. You will learn how to identify ways you helped yourself, ways you unintentionally hurt yourself, and evidence you can gather from the experiments that refutes or supports your hot thoughts. You will also learn how to treat yourself compassionately about the experiments you do, like a good parent or friend would do, so that you build self-confidence and make progress toward your goals more rapidly. Sometimes our social anxiety fears do come true. Sometimes we do embarrass ourselves. Sometimes others do judge or reject us, and may even say critical or mean things. Sometimes we create a bad impression. These bad things don’t happen as often as we tend to think they do. Nor do they usually have as negative or lasting an impact on our lives as we believe they will. Still, our fears do sometimes come true. One important CBT strategy in overcoming social anxiety is learning to figure out what to do in the event our fears come true. 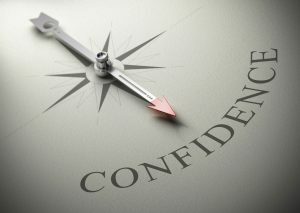 Sometimes that involves asserting yourself with a critical person in a calm and confident tone. We practice such assertions in session, using role plays and imagery, and we also practice it in various ways as homework. Other times we use problem-solving strategies to develop good ways of coping with a situation turning out badly, which we also practice in session and in homework. The more confident we feel about being able to cope with a fear coming true with our heads held high, the less socially anxious we feel about the situation. Why do some people experience troubling hot thoughts and much anxiety about a situation in which many other people experience positive thoughts and feelings? Some of this has to do with different attitudes (core beliefs and personalrules) that people have learned about themselves and the world as they grew up. Our attitudes act like glasses we wear: we don’t usually think of them, but nonetheless they profoundly affect the way we see the world and the situations we experience. Change your glasses (attitudes), and the world looks very different to you. 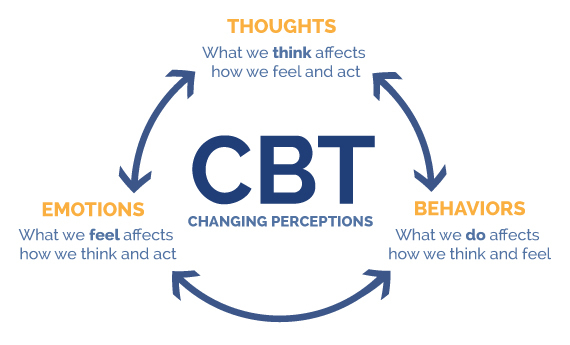 CBT helps you identify the unhealthy core beliefs and rigid personal rules that contribute to your social anxiety. You then learn various skills and strategies to test and weaken your unhealthy attitudes, and to develop and strengthen alternative, healthy attitudes.